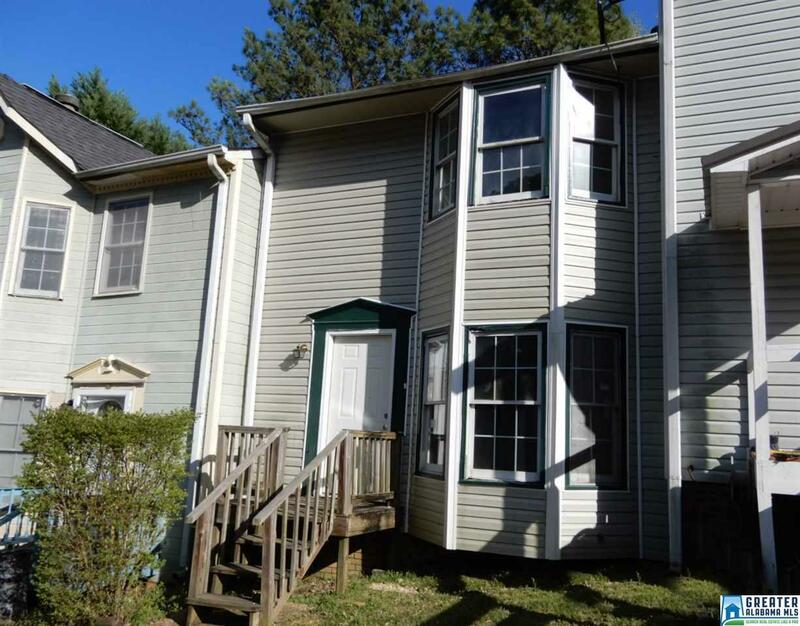 Come see this 2 bedroom 1.5 bath townhome in Williamsburg Square. This home features a living room with fireplace, eat-in kitchen with a laundry closet, and a half bath on the main level. Upstairs there are 2 bedrooms and a full bath. Nice enclosed back sun room / porch. In need of some repairs including; roof repairs, replace missing ceiling sheet rock, missing sink faucet; repairs. Property is owned by the US Dept of HUD and sold âAs-Isâ. Case number 011-804797, âInsurability Codeâ, subject to Appraisal IN.. Seller makes no representation or warranties as to the property condition. This Post-1978 Property does not include LBP Notices. Equal Housing Opportunity. Seller may contribute up to 3% for buyer&apos;s closing costs, upon request. Driving Directions: Take I-59 N Toward Gadsden/Atlanta Exit 132, Turn Left Onto West Blvd, West Blvd Becomes Williamsburg Dr., 9727 Is On The Right.